Like all Australian schools, Catholic schools are accountable to governments and their local communities for meeting all the learning and teaching requirements of the State, yet Catholic schools also have distinctive goals and features which derive from a core of philosophical and theological foundations central to their character and mission. They seek to develop in students, communal obligations and aspirations, to espouse values which unite society and to promote citizenship infused by a commitment to social justice. 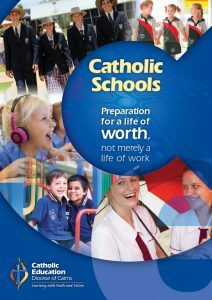 Catholic schools seek to instil students with faith, values and knowledge to guide and support them throughout their lives, to provide them with preparation for a life of worth, not merely a life of work. Catholic schools seek to provide a high-quality academic and vocational education for all their students, giving due emphasis to the fundamental literacy and numeracy skills required for both learning and life. They deliver the Australian Curriculum and offer broad curriculum and co-curricular options in well-resourced and equipped classrooms, with full ICT integration and all the requirements for contemporary learning in the 21st century. National testing indicates that students in Catholic schools on average consistently achieve at or above state and national averages. Statistics show that students graduating from Catholic schools are successfully moving into university degrees, VET programs, apprenticeships and the workforce. Catholic school emphasis on respect for self and others promotes well-disciplined environments that are conducive to quality teaching and learning; an attribute highly sought after and valued by parents. A faith and values approach underpins a Catholic education and Religious Education is an integral part of life of the school and curriculum. Catholic schools emphasise personal and social development as fundamental enduring values and requirements in an ever-changing world. This holistic approach provides an educational foundation for life to the full, meaning the full development of the person – intellectually, spiritually, socially, emotionally and physically. Social and Emotional Learning (SEL) is a priority in the Cairns Diocese and has been formally integrated into all areas of curriculum through policy. Social and Emotional learning is recognised as fundamental to success in learning and life. Catholic education occurs in welcoming, inclusive, and connected communities. Our schools seek to provide a genuine, safe and caring experience of community, to encourage students to appreciate the intrinsic worth of who they are, to value diversity and treat each student with dignity, enabling them in turn to promote and respect the dignity of all. Our schools recognise and value parents as the first educators of their child and work in close partnership with parents and guardians and their local communities to achieve desired outcomes and develop young men and women who will take their place as constructive and compassionate members of Australian society. Our qualified and dedicated teachers are one of the great strengths of our Catholic school communities and are recognised as being caring and willing to ‘go the extra mile’ for their students. 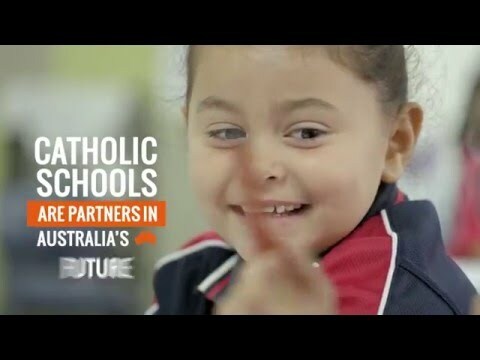 Catholic schools are welcoming to all who seek to share their life and wish to entrust their children’s future to Catholic schools because of their explicit goals and acknowledged educational quality. Enrolment procedures reflect openness to all students whose parents/guardians are committed to further understand, support and live the values of the Catholic tradition. The Catholic identity of our schools is inclusive in nature, whilst, at the same time, continuing to be faithful to the original mission of Catholic schools to educate children of Catholic families. As part of the Church’s mission, Catholic schools give priority to educating the spiritually and financially poor and being their advocates. Catholic schools in the Cairns Diocese are committed to fostering cultures of inclusion that respond to the educational needs of students regardless of their abilities, backgrounds and aspirations. Our school communities are places where the uniqueness and individuality of students and families is recognised and welcomed and the human dignity of each student is promoted. Catholic schools strive to keep fees as low as possible so that more families can choose a Catholic education for their children. Even when school fees paid by parents are included, Catholic schools, on average, operate with only about 90 per cent of the income of government schools, meaning Catholic schools consistently achieve more with less. In keeping with Gospel values, no child is refused a Catholic education due to financial inability or difficulty. New or existing parents who find themselves in this situation are encouraged to discuss fee concessions with the school principal who will treat the situation with understanding, sensitivity and confidentiality. It is the expectation that families with the capacity to contribute do so, so that our schools can maintain the high quality of education that Catholic education is known for and our families rightly expect. 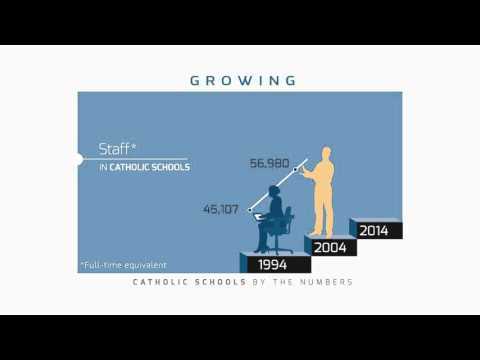 Is a Catholic school right for your child and your family?